Want to save up to 32% on your heating cotsts ? 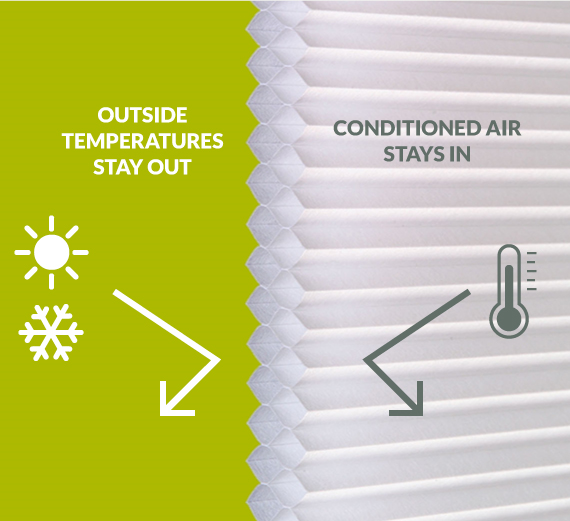 Honeycomb or cellular shades have a cell shape that creates pockets of energy saving insulation. 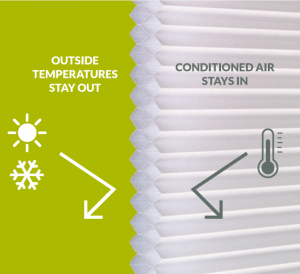 The cell construction traps air and makes it more difficult for the heat energy to transfer in and out of the window, improving energy efficiency and reducing your heating and cooling i both winter and summer. Understanding the Terminology of R-value. You may have heard of it before, but haven’t understood what exactly it stands for. The R-Value is a measure of how well a material’s resistance is to heat flow and how well it resists heat gain or loss. Let’s make it simple, the higher the R-Value your material has, the better insulation that you will receive.